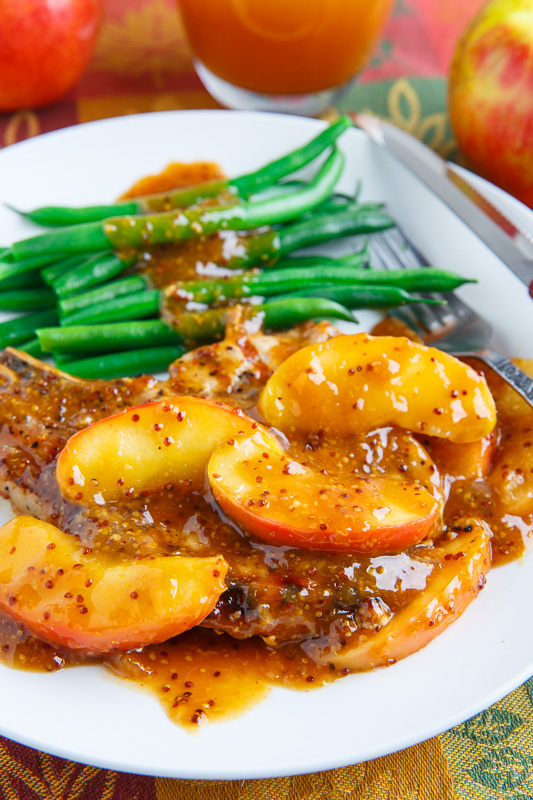 Next slather the roast with apple sauce. I used at least 1 1/2 cups. I used at least 1 1/2 cups. At this stage you can put the roast in a large plastic ware container and refrigerate for up to 2 days. Chop pork and crackling into rough 4cm pieces and stuff pork into baguettes. 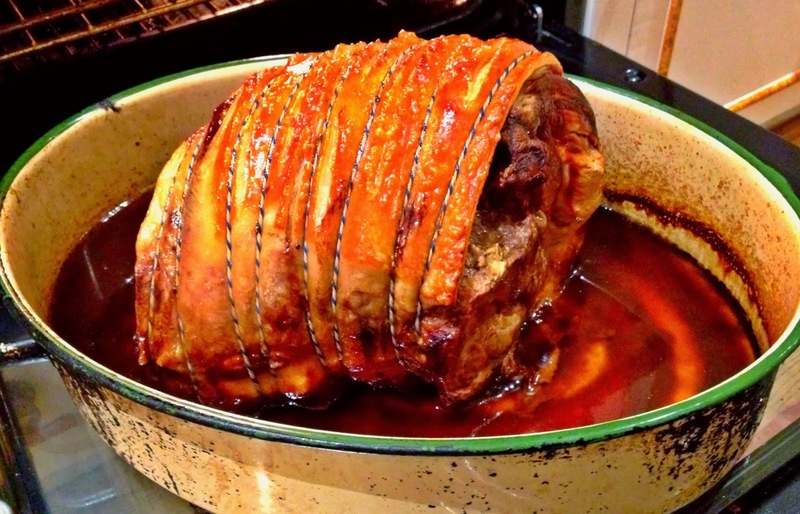 Top with balsamic onions, apple sauce, crackling and mayonnaise, sprinkle with parsley and serve. 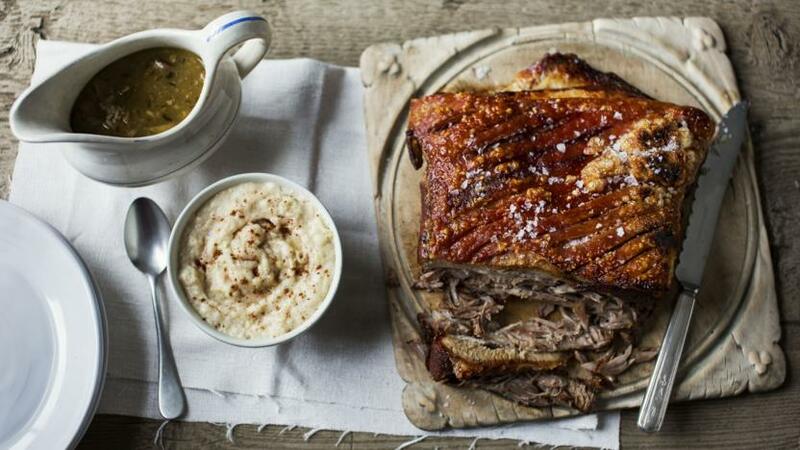 Top with balsamic onions, apple sauce, crackling and mayonnaise, sprinkle with parsley and serve.